Massively multiplayer games are in our DNA, and our community-first approach brings people from around the world and all walks of life together to share in the joy of playing games. With flagship games Vegas World and ourWorld, alongside hundreds of in-game titles, we’re dedicated to growing our suite of virtual worlds and immersive games to reach new audiences. Vegas World is a free-to-play social casino world where players can enjoy more than 45 different casino-style games like slots, poker, blackjack, bingo, roulette and more. 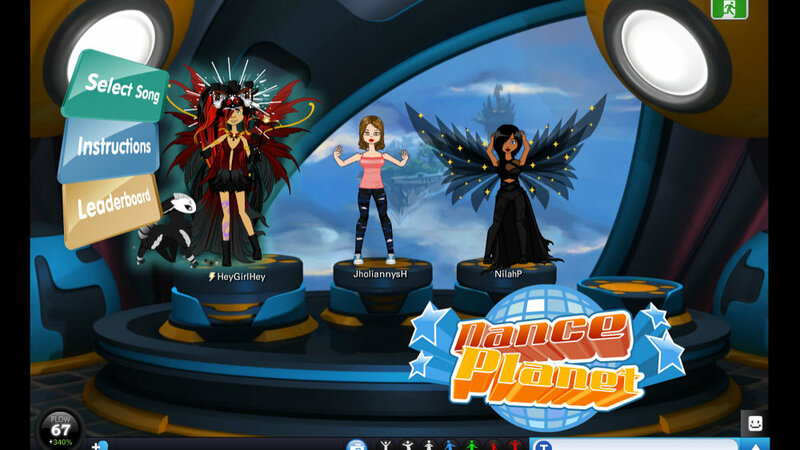 ourWorld is an online virtual world specifically designed to offer teen girls a place to getaway, with over 200 in-world games ranging from puzzle to action alongside social environments such as dance clubs and coffee shops. Our hundreds of in-world games offer a completely unique and immersive experience within our games. Browse a few of our favorites, or experience them for yourself when you play Vegas World or ourWorld. 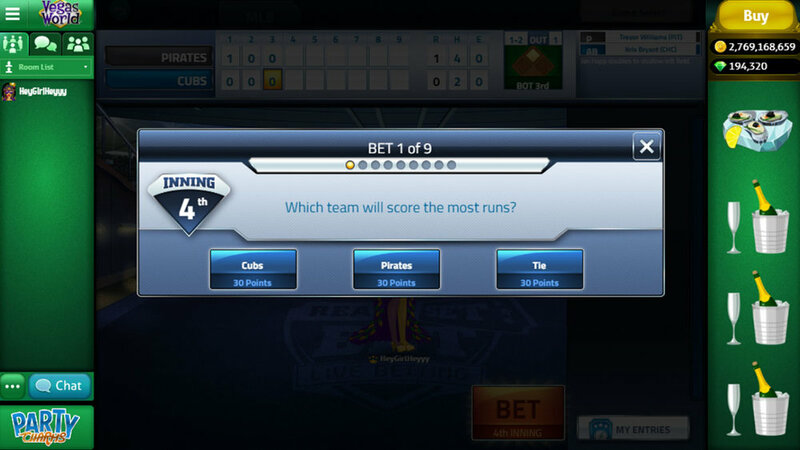 Compete against players from around the world in our real time sports betting game. Prop bets appear every few minutes to take watching a baseball or football game to the next level. Find it in the Sports section on Vegas World. Bet on the outcome and over/under of all major professional sports and NCAA Basketball and Football. We've also recently introduced eSports betting to the mix! Look for it in the Sports section of Vegas World. Play up to 100 hands of Video Poker at a time. Choose between Jacks or Better, Deuces Wild or Double Bonus. Just one of the four Video Poker versions on Vegas World. Make a splash in our fun-filled tri-peaks solitaire variant with powerups and hints from our friendly frogs. One of the three Solitaire games on Vegas World. An enchanting version of the classic Mahjong Solitaire featuring ancient dragons that are awoken as you unlock each level. Find eggs to enable power ups and explore the land of Dragons. Found in Vegas World. A rich array of prizes await in a prize wheel set in your own personal aquarium. Collect exotic fish that never need to be fed. Win Coins, Gems and other fun prizes. Found in Vegas World. Show off your dance moves while you compete against other players in this rhythm game with dozens of great songs. Even when new dance moves for reaching the expert levels. One of the many games on ourWorld. Raise awesome creatures in your Condo garden and earn Coins while you're having fun. Critters range from the cute to just a little scary. Found in ourWorld.